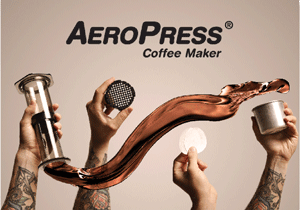 It is very unlikely you would not have heard of the coffee machine manufacturer before. 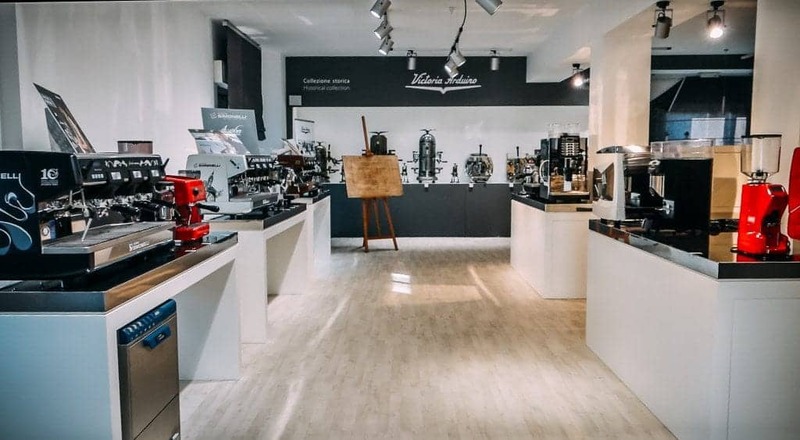 Orlando Simonelli engineered the very first espresso machine in 1936 and started a process that still continues today.The brand’s heritage that comes with the innovative spirit are what attract so many baristas and café owners. 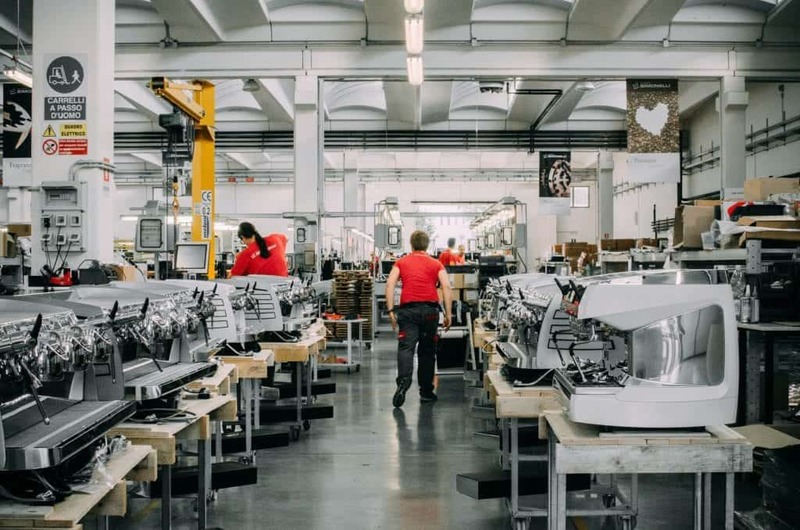 Let us take you for a ride to the heart of Marche, picturesque region of Italy, where the company produces espresso machines for customers in 120 countries around the globe. Here is a summary of what we learned during our visit! “The quality of life, the enchanting landscape, the excellence of local products and the wealth of cultural sites are just some of the characteristics of Marche.” Quoting the book Nuova Simonelli and its roots we are brought back to the trip we took several weeks ago. We had a hard time focusing on driving while passing through historical towns, medieval castles and hills of Marche. 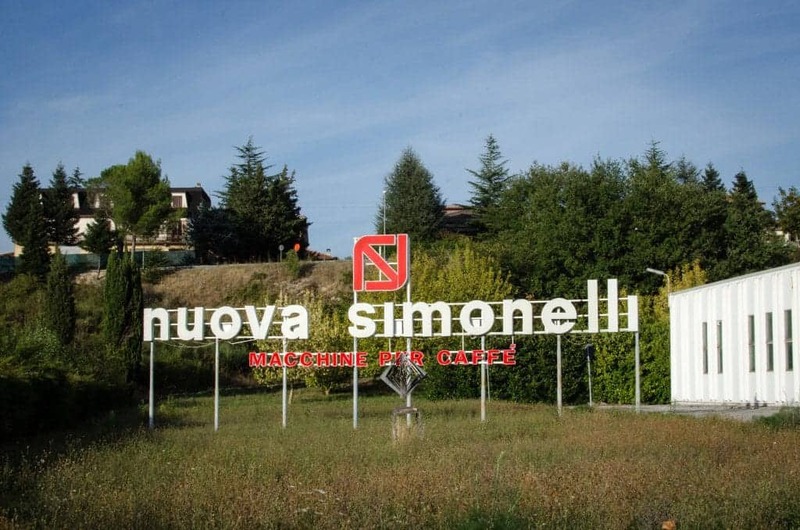 Once in Belforte del Chienti, home of Nuova Simonelli, the factory is easily recognisable with its massive sign. We were welcomed by smiling Luca Pompei who is in charge of sales at Nuova Simonelli. We caught him just at the time for a coffee break and got to try the real Italian espresso straight away. Our exploration of the company started at the Nuova Simonelli Museum. Surrounded by espresso machines we admired the technical and design evolution between the first 1936 models and the newest Black Eagle. Surprisingly enough most of the old designs seemed to be more up to date than most of the machines on the market nowadays. 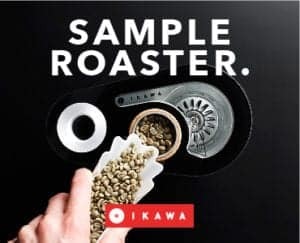 We liked the Eureka espresso machine that went to production in 1959, the futuristically clean design of the ISX espresso machine and the compactness of home espresso machine called Beach. Nuova Simonelli and Victoria Arduino brands merged their businesses in 2001. In order to celebrate the new era of Victoria Arduino, the modern version of iconic VA Venus was created in a limited serie. One of only 100 pieces went directly to Pop Benedikt XVI during the official ceremony at St. Peter's Square. 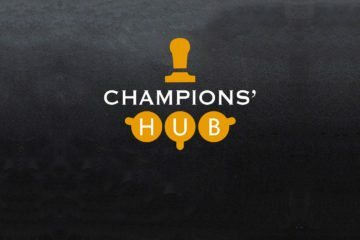 The most recent history is connected to World Barista Championships (WBC). Photos of Gwilym Davies, Michael Phillips and Alejandro Mendez, all World Barista Champions from 2009 to 2011, were placed next to the competition Aurelia models that were used in Atlanta, London and Bogota. In 2015 these have been replaced by another machine from the NS family. Victoria Arduino Black Eagle has become an official espresso machine until 2017. 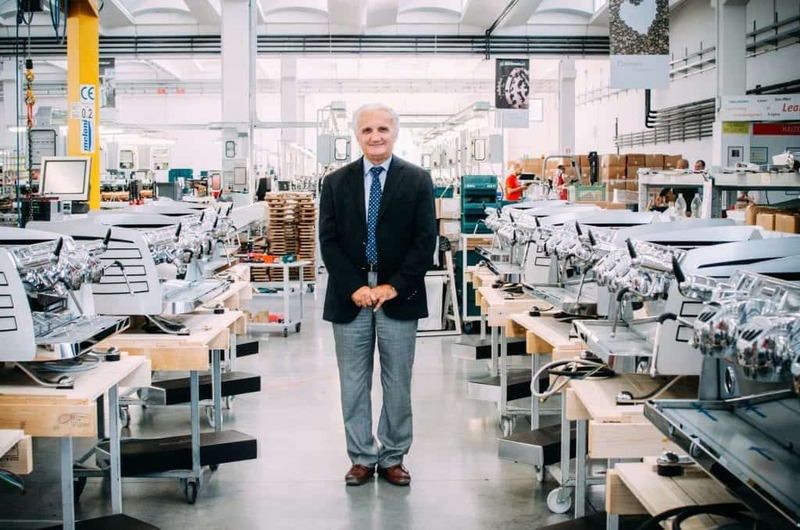 Mr. Nando Ottavi, the chairman of Nuova Simonelli, joined us on the way to the new factory. He spent an hour talking to us and showing us around the production site. It was great to observe him passionately talk about coffee. 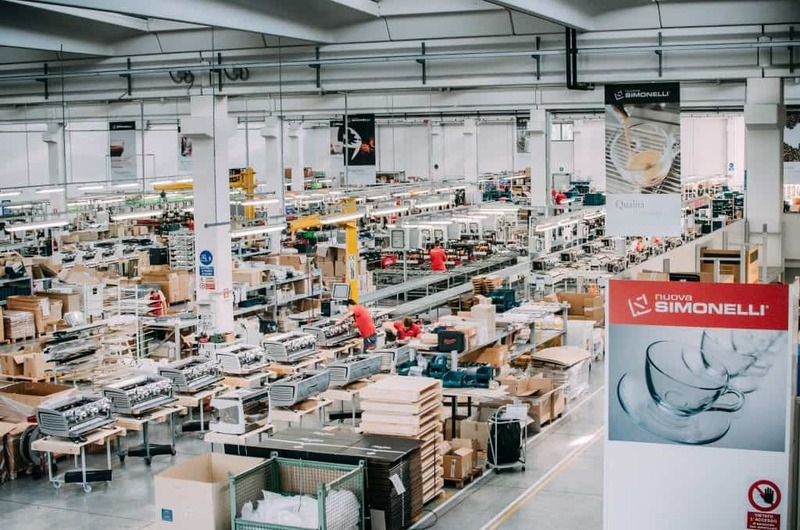 He joined the Research & Development team of Simonelli's company when he was very young. Then in the 70's along with other colleagues he took over the company and became its Chairman. “We quickly realized the importance and the speed of coffee development in the following years and that is why we invested in internationalisation, in new technologies research and espresso solutions in order to meet customers’ needs,” Mr. Ottavi described the early years. 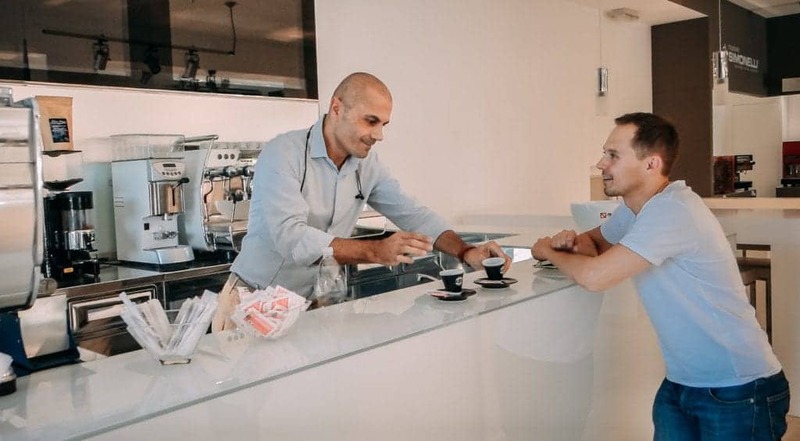 We were interested in how did the Speciality coffee affected the traditional Italian coffee companies. 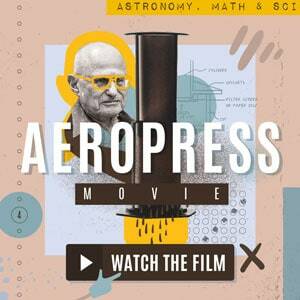 “The spread of specialty coffee culture has naturally had positive effects also on Italian espresso. 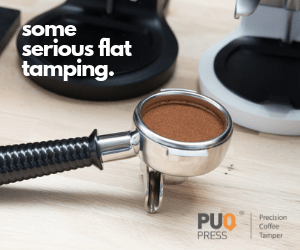 More precisely, all espresso coffee machines manufacturers are investing – and we have done it for many years – in order to design equipment that enhances all the qualities of every coffee.” explains Mr. Ottavi. 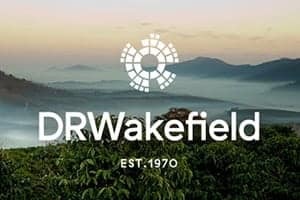 “Specialty coffees are important for the whole coffee industry and therefore also for us machine producers. In recent years, the spread of quality coffee culture has increased and this is good for the entire chain,” he adds. 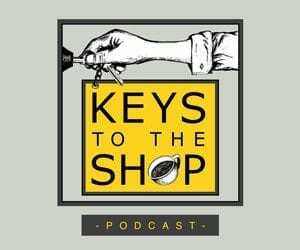 After 40 years of experience in the coffee business what is his advice for the aspiring coffee entrepreneurs? “You need to invest in quality at all levels because you are confronted with an increasingly demanding market. Quality is the key for a new shop. From the choice of coffee machine to the choice of beans,” sums up his business observation Mr. Ottavi. 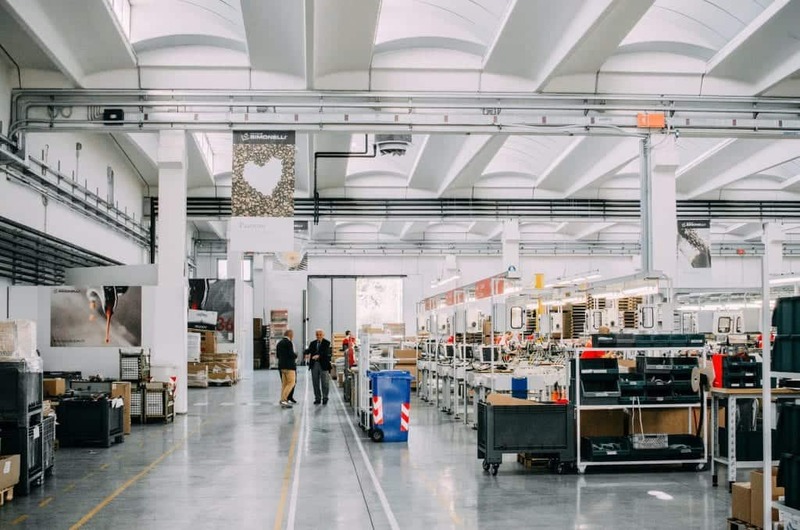 A tour through the production site was lead by Mauro Parrini, the Director of Operations. His job is to make sure that approx. 25000 machines of the highest quality get assembled every year. Most of these machines, about 98%, have already been sold and perhaps even paid at the actual time of production. “We don’t really have a warehouse, it’s a shipment department,” explains passionately Mauro. 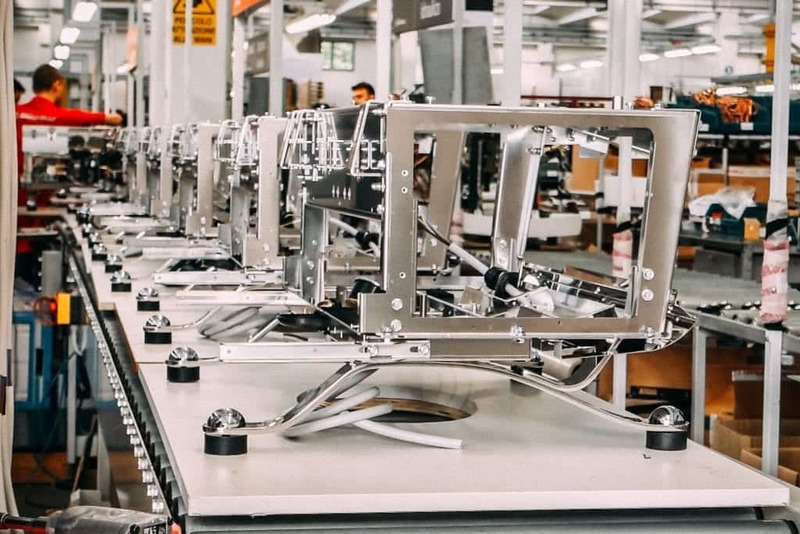 The production area is split into 6 lines that can work with 14 production platforms for different machines. In principle every single line can produce every machine available. Of course, they do optimise and each line works with 2 – 3 platforms every week. 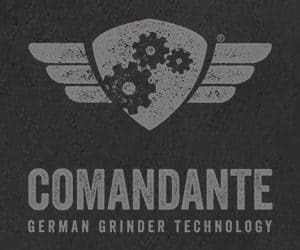 Through the safety paths we went to see the production of Victoria Arduino Black Eagle in close detail. At the very beginning of building a machine RFID chip is attached. It carries all the necessary information about the configuration of the machine. Technicians, at every station, can load the information into a computer and plan their work accordingly. 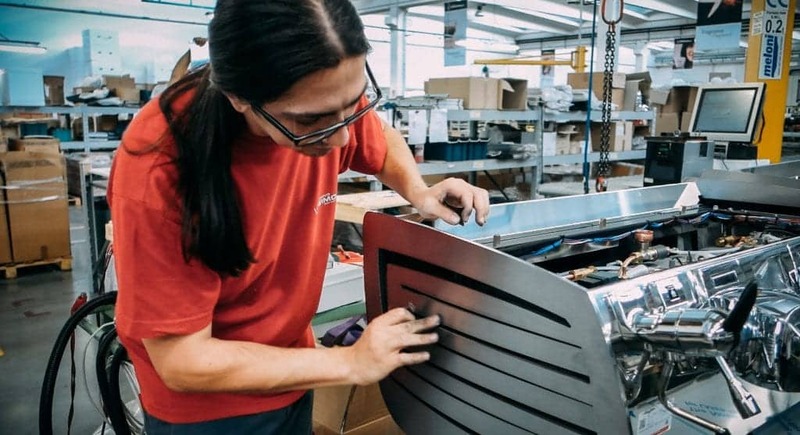 Starting with a naked case, adding electronic parts such as mainboards, wiring and displays and continuing with mechanical parts such as boilers, pipes and group heads. In a less than hundred meters and no more than a minute walk, Mauro takes us through the whole making of Black Eagle. The most interesting part of the line is at its end – a testing station. Every machine, before it is packed and shipped, runs through the simulation of 2 months in a shop. It runs over 4 hours and filters problems related to the assembly process. In R&D lab it is stress tested, day and night, for over 100,000 cycles that translates to 2 years in a shop. Climatic chamber was another interesting piece of equipment we found in the lab. In order to ship the machine from Italy to Australia for example, it undertakes drastic climatic changes on board of airplanes. It can go from -20°C to +70°C to make sure that no part of the machine gets broken. Black Eagle is no more only black or actually metal. Understanding the demand of the market, NS offers a varied colour scheme. “We response to the high request from the market. If you go to Instagram you see that everybody is trying to do something different at their coffee shop,” explains Luca Pompei. The final question is how long does a customer need to wait for such a machine? “Waiting time for Black Eagle is 4 – 5 weeks at the moment,” says Mauro at the very end of our visit. 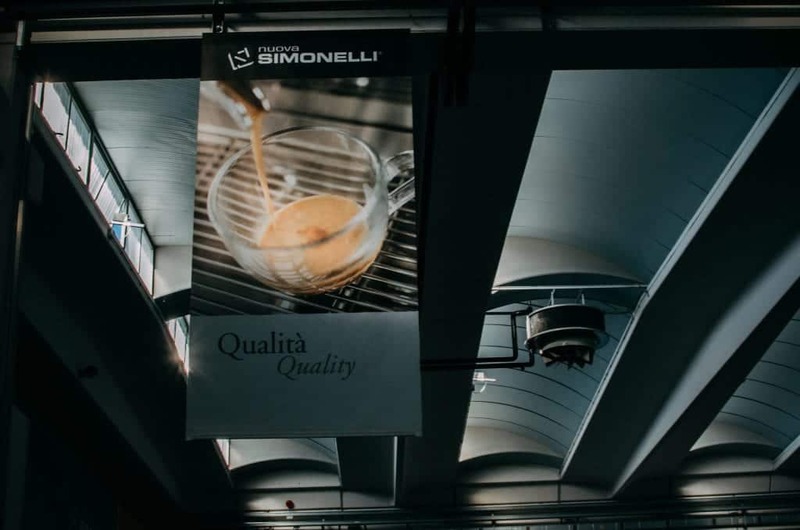 Thank you, Nuova Simonelli, for being such a great partner of European Coffee Trip and the whole Speciality coffee community.